Executive Director Jonathan Agin recently traveled to Seattle, Washington from June 12-14th to attend the annual meeting of the Coalition Against Childhood Cancer, also known as CAC2. CAC2 began to take shape in 2011 to bring many different stakeholders from the childhood cancer community together to collectively raise awareness, create collaborative efforts among member organizations and reduce duplication. Max Cure immediately saw the benefit of joining in this endeavor and today stands with close to 100 other childhood cancer related organizations and individual advocates working toward the same fight against childhood cancer. During the meeting, members interact with some of the world’s top clinicians and researchers, members of the National Cancer Institute, FDA and the pharmaceutical industry to learn about new developments and how our collective work is impacting children with cancer. Additionally, there are specific meetings of separate interest groups such as research, advocacy and family support to name a few. Whereas Max Cure’s mission aligns with all of the interest groups, we have been most active with our participation in the research group. 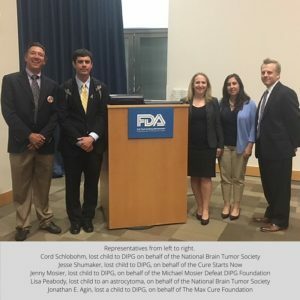 Since 2017 when Jonathan embarked upon reshaping Max Cure’s research direction through a bold and aggressive path, our participation in collaborative groups like the CAC2 research interest group have allowed us to further ensure that Max Cure’s research funding is laser focused. By helping to shape priorities used for collaboration by member organizations, we gain insight into how best to make research-funding decisions as well as create meaningful partnerships to accelerate results. As part of Max Cure’s research efforts and participation in CAC2, we recently joined the International Cancer Research Partnership (ICRP). Through the ICRP, we are better able to determine that our research dollars are not duplicating other projects that are already well funded. The Max Cure Foundation has always held the belief that through collaboration we can achieve greater results as a community. We feel strongly that our participation in groups like CAC2 provide the platform for our work to reach more support and create faster results as we continue to fight childhood cancer.